As everyone knows, I love soup in this cold, wet weather. I don’t usually make cream based soups (they are not my favorite and they are not as healthy) but I know the BOY loves Broccoli Cheddar soup. 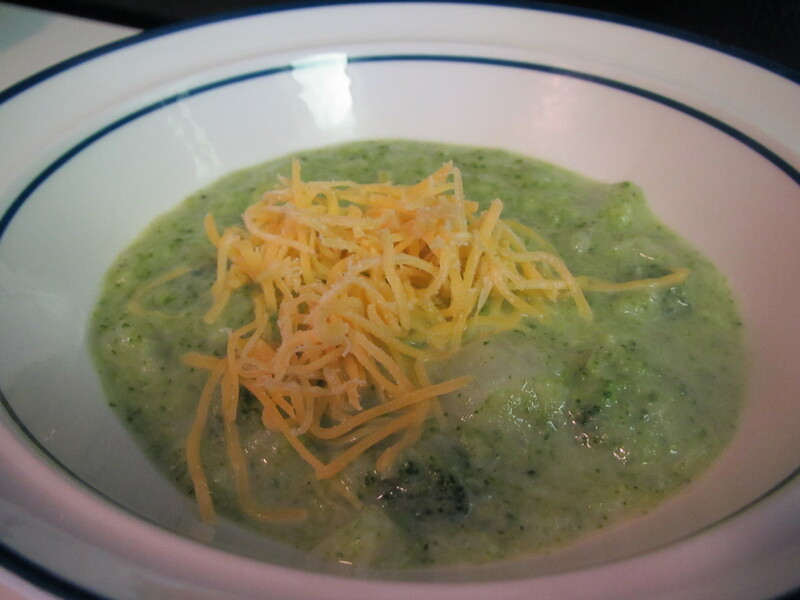 Historically, Broccoli Cheddar is not the healthiest soup option, so I was surprised to find this recipe in my new Points Plus Weight Watchers Recipe Book. Although the BOY claims to check in on my blog, he actually doesn’t, so I figured I could serve this to him without sharing that it was a healthy recipe. I used frozen steamed broccoli for ease and the recipe was simple to follow. Please excuse my pictures…I had trouble with lighting in this gloomy weather. 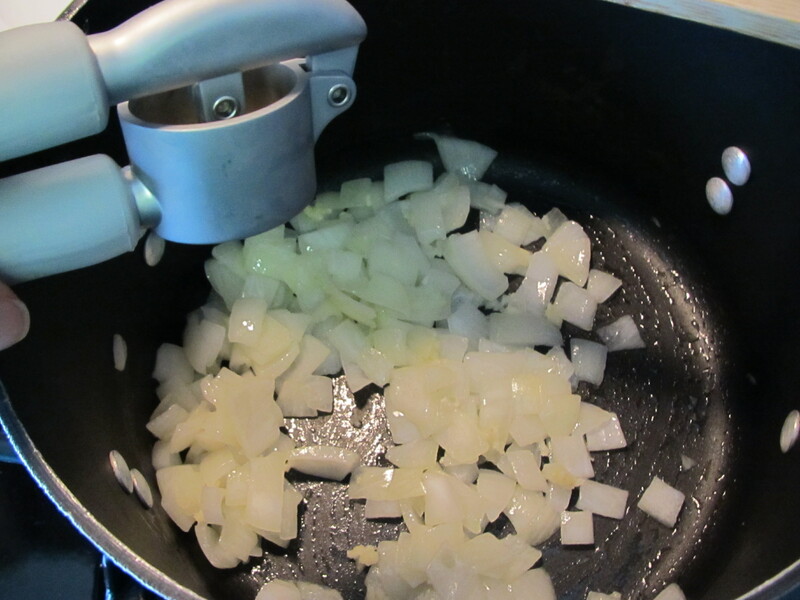 I started sautéing 1 onion in olive oil for about 5 minutes. Add garlic and sauté for 30 seconds more. Add low sodium chicken broth, water, and sliced potato. Bring to a boil. During this time, I microwaved 2 bags of broccoli. Add broccoli and return to a boil. 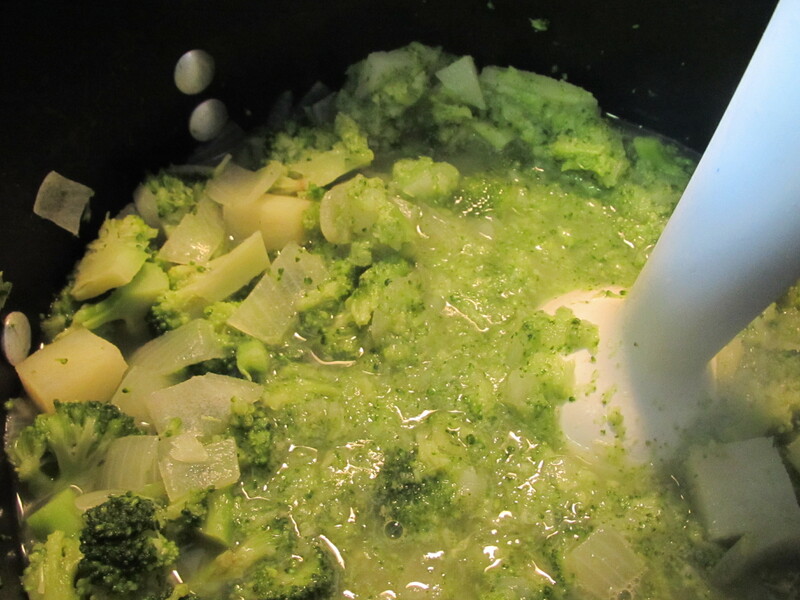 Using a slotted spoon, remove some broccoli mixture and set aside. You’re probably not surprised to find that I used my immersion blender to mash-up the rest of my soup. 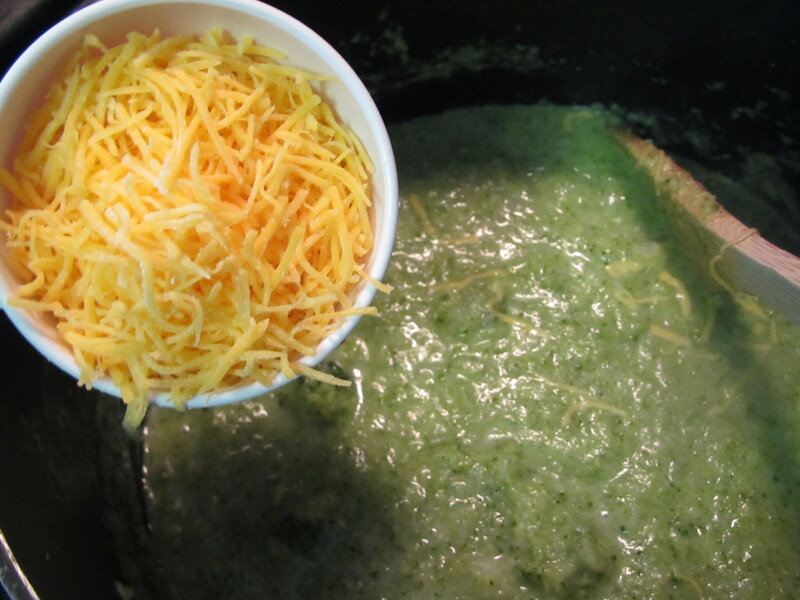 It turned into a big bowl of green and I was getting worried as to where the Cheddar would fit in and whether the BOY would try a green-colored ‘cheese’ soup. I returned the broccoli to the bigger mixture and added salt, pepper, and half and half. I added the ½ cup of 2% sharp Cheddar to the mix. I like that this soup showcases the broccoli instead of the cheese. I also like that you can add more cheese to the top as needed which will add more cheesy taste with less cheesy calories. The BOY walked in just as I was finishing up. He said that the soup looked and smelled great. We’ll see what he says when he tastes it! 1. Heat oil in large saucepan over medium heat. 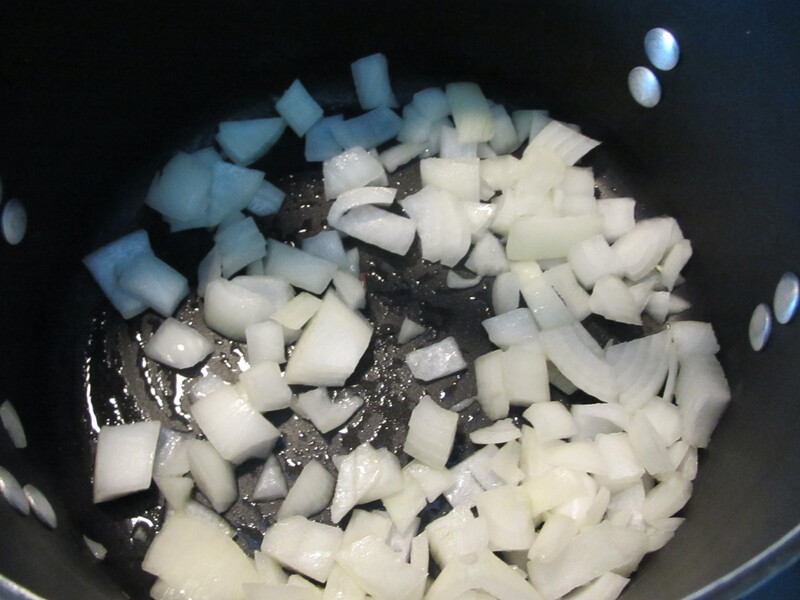 Add onion and cook stirring occasionally, until softened, 5 minutes. 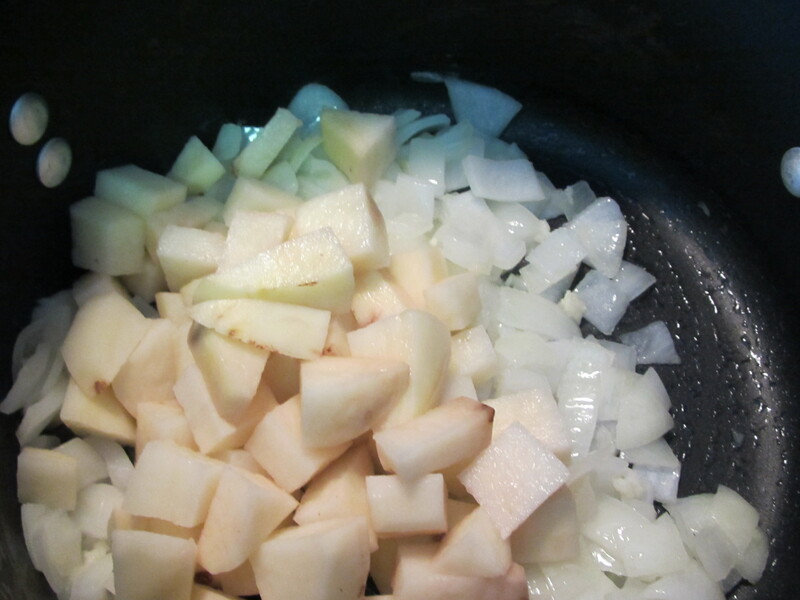 Add garlic and cook, stirring constantly, until fragrant, 30 seconds. Add potato, broth, and water; bring to boil. Add broccoli; return to boil. 2. Reduce heat and simmer, partially covered, 5 minutes. 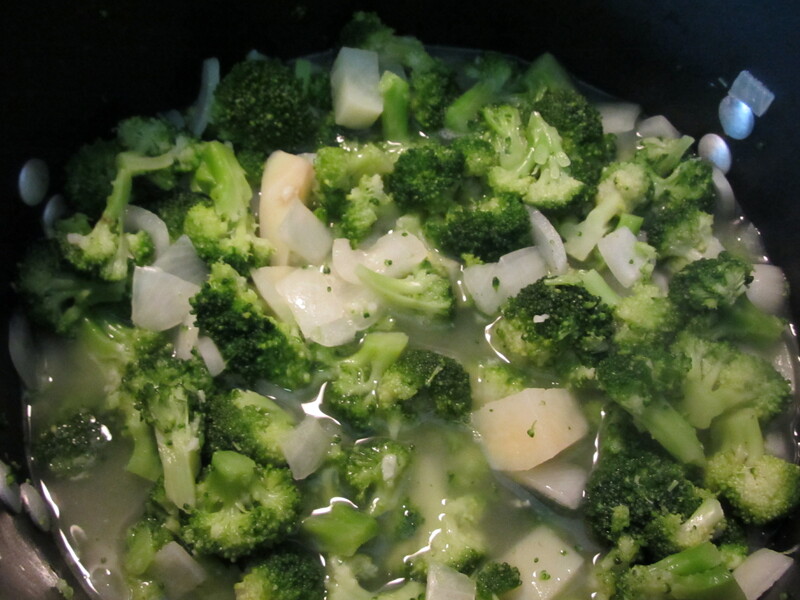 Remove 1/2 cup broccoli florets with slotted spoon; set aside. 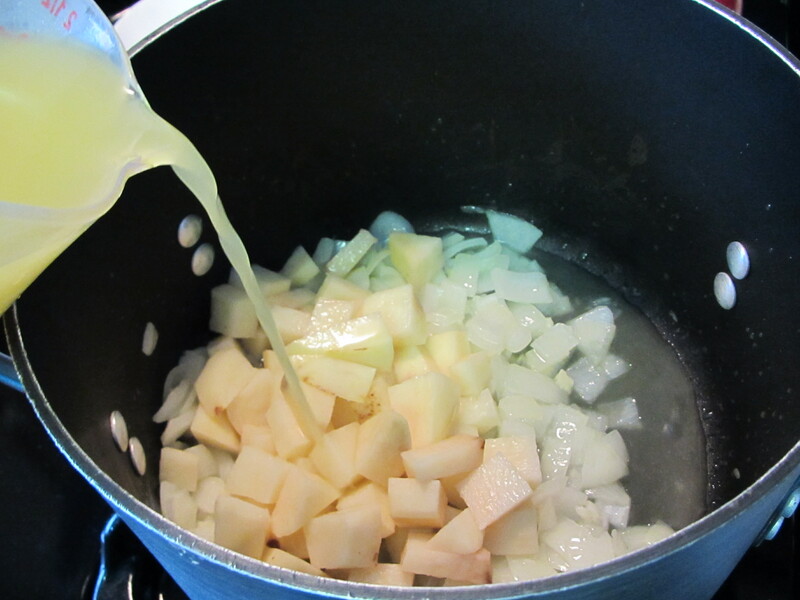 Simmer until potato is tender, about 5 minutes longer. 3. Pour soup, in batches, into blender and puree. 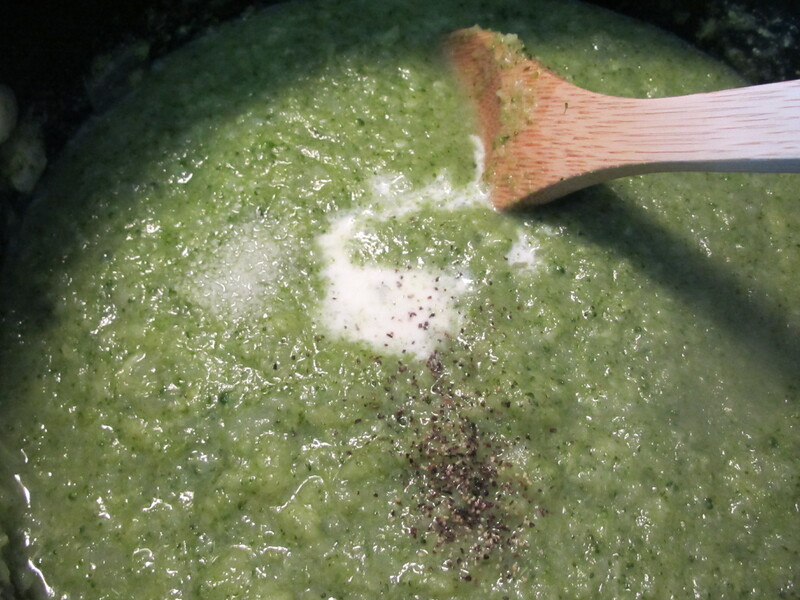 Return soup to saucepan and reserved broccoli florets, half-and-half, salt, and pepper. Cook over low heat until hot, about 2 minutes. Remove from heat; add Cheddar, stirring until melted. This sounds really good! My Stronger Half avoids anything green, but I may have to make this for myself. Thanks for sharing. Definitely try it with the cheese on the top. It was surprisingly good for how green it turned out! Any new tricks to getting him to try different veggies? I am getting tired of just green beans and broccoli!